A report yesterday on on the MedPage Today web site quotes Scott Gottlieb, MD, the Commissioner of the U.S. Food & Drug Administration (FDA) on the importance of “Listening to patients” and on how patients’ perspectives can inform drug development, drug review, and physicians’ prescribing habits. The article, based on presentations given at a briefing hosted by the National Health Council last Friday, includes Dr. Gottlieb’s description of his personal experience and decision-making when he was diagnosed with non-Hodgkin’s lymphoma (a form of hematologic cancer) back in 2006. Prostate Cancer International and The “New” Prostate Cancer InfoLink are highly supportive of greater patient input into the activities of the FDA and wider recognition of the fact that not all patients with the same condition will necessarily look at that condition in the same way — especially when dealing with conditions like prostate cancer that might indeed lead to one’s death but might also “just” be conditions one has to live with for 20+ years after an initial diagnosis. This article calls attention to the need to more fully appreciate the patient’s point of view — not only when prostate cancer is being discussed within the scientific/medical/regulatory/ entrepreneurial communities but also in terms of communications between doctors and their patients. It represents a step in the right direction by recognizing the need for greater awareness of and sensitivity to the patient’s point of view. Interestingly, it was written by someone who has walked in both pairs of shoes. It is not necessary to have experienced the condition in question to understand it, otherwise there would be no books on death and dying. 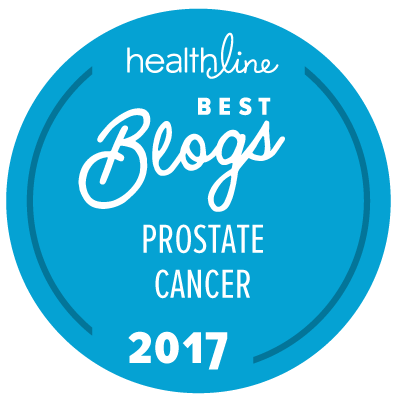 However, having the disease one is talking/writing about adds a perspective that is often lacking in professional communications about prostate cancer. More on this in a separate post on that topic.